his is a story primarily about corrupt practices by the Burlington City Council, in its headlong determination to force a neighboring city to be the base for a weapon of mass destruction, the nuclear capable F-35 fighter-bomber (in development since 1992, first flown in 2000, still not reliably deployable in 2018, at a cost of $400 billion and counting). Yes, the premise itself is corrupt: Burlington owns the airport in South Burlington, so South Burlington has no effective say in how many housing units Burlington destroys in South Burlington to meet environmental standards for imposing the quiet-shattering F-35 jet on a community that doesn’t want it and won’t benefit from it. 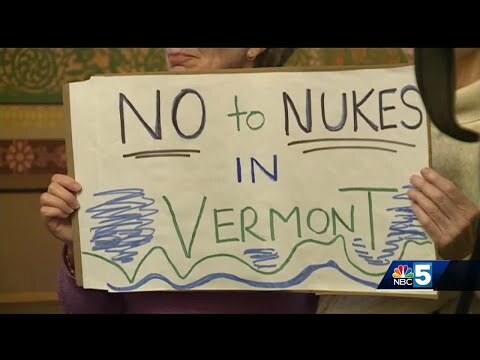 The entire “leadership” of the state of Vermont, mostly Democrats, has spent more than a decade making this atrocity happen, with widespread media complicity. And you wonder how we got Trump as President. Opposition to basing the F-35 in a residential neighborhood is at least as old as the mindless official support, and the opposition has been much more articulate, thoughtful, and detailed. Senator Patrick Leahy, a Democrat and Burlington native, has been enthusiastic about militarizing his hometown from the start, treating it as if it should be seen as an honorable piece of pork from the military-industrial complex. Independent senator Bernie Sanders, like Democratic congressman Peter Welch, has hedged slightly in his support, but neither has come close to a cogently articulated position, much less opposition. Governors of both parties have been cheerleaders, especially Peter Shumlin, who took a junket to Florida to listen to an F-35 and decided it wasn’t all that loud (which was shortly before he decided universal healthcare wasn’t all that necessary).